Government jobs in India are not only about the pay-check but also the esteem and value it brings with it. 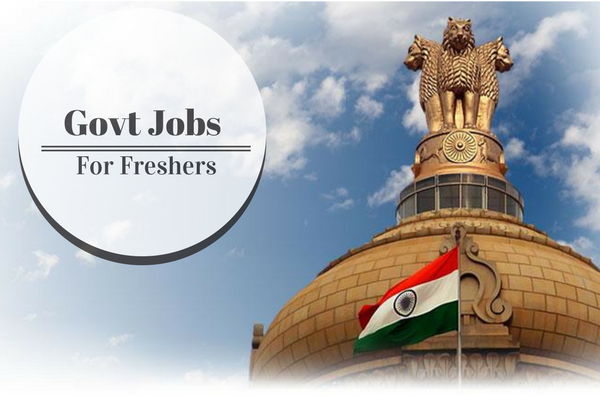 Here are the best government jobs for freshers. Evergreen government jobs every fresher should consider. Government jobs in India are not only about the pay-check but also the esteem and value it brings with it. The popularity of government jobs in India doesn’t need a clarification and it’s not for nothing. It not only provides you with a relaxed and secure job but offers you ample opportunities to grow and reach a much higher position in the hierarchy than the one you started with. The public sector or PSU jobs are lucrative with all that it offers along with. The employees are well paid; get accommodation, medical benefits, and others. Technical students can apply for various PSU exams like HAL, NTPC, BEL ONGC, etc. The basic salary starts from around 10 lakhs per annum which increases with experience. It’s one of the most sought of Fresher jobs in India and calls in for a lot of efforts to clear the exam. The pay can be 12 lakhs and more depending on your designation. Combined Graduate Level Exam: Any fresh graduate (up to the age of 27) can apply for various posts under the graduate level SSC exam which includes posts as Examiners, Assistant CSS, Income Tax Inspector, Auditor, etc. The exam is conducted for group B and C cadre posts. Along with a basic salary of around 6 lakhs (depends on post), the candidate is eligible for all facilities provided to government officials. Defence Academy jobs not only require knowledge and education but more passion for joining the forces. You can get the jobs in Army, Navy, or Air Force. To qualify for Defence Academy jobs, one has to clear exams like NDA and CDS and have to prove themselves in different tiers of the selection process. The basic pay is regarding with a lot of other facilities which are only available to Defence employees. Compared to engineering jobs in other sectors, railway engineers are paid much more with additional leverages like travel allowances, private vehicle, etc. The basic salary of a section engineer in the Indian Railways is approximately 5 lakhs per annum (in the starting. It can go up to 7-8 lakhs. Graduates from all streams can apply for Bank PO exam. The job is very much in demand as the work pressure is very low when compared to the salary received. SBI Bank PO’s are paid the most in this designation. The pay scale starts at 17,000 per month and as you progress through the ladders of designations can go up to around 9 lakhs per annum. You can apply for Banking jobs for separate banks. PSC is an acronym for Public Service Commission. It is also referred to as State Public Service Commission as you get to work in your own state (the state you applied for). Though the position is below IAS or IPS, you can eventually get the designation by being promoted in your work. Being an engineer under the Government of India not only gives you a good pay scale but gives you a reputed managerial position where you have to manage as much as 1000 workers under you. There are more government vacancies among engineering jobs are available for civil, mechanical and electrical engineers. Jobs in RBI Grade B are not only rich in incentives but also gives you a learning edge which is quite contrary to what people believe of government jobs. To qualify for an entry-level officer position, you need to clear a written exam conducted by RBI officers. Applications for this, are often released around July. There are different respectable positions in the Life Insurance Corporation of India which offers a well-paid job to candidates. departments. There are good career development opportunities after an entry to the organisation. 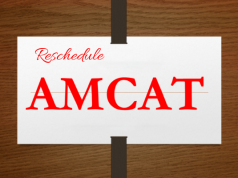 To make sure that you aren’t missing out on any opportunities, you must chalk out a list of various positions you wish to apply for then keep a track of the deadlines. You can apply for jobs in 2017 by visiting government departments’ official websites and following the given guidelines. 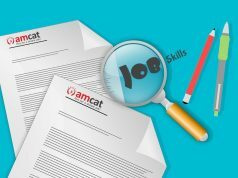 Career pages, entrance assessments and applying against live government jobs (also seen on the MyAMCAT job board). How to apply for these job. Thank you so much for providing such a wonderful information. This is very good engineering job post.